Become the most effective teacher you can by using the American Anthropological Association’s Teaching Materials Exchange. While there you can give back and help others by submitting your materials. 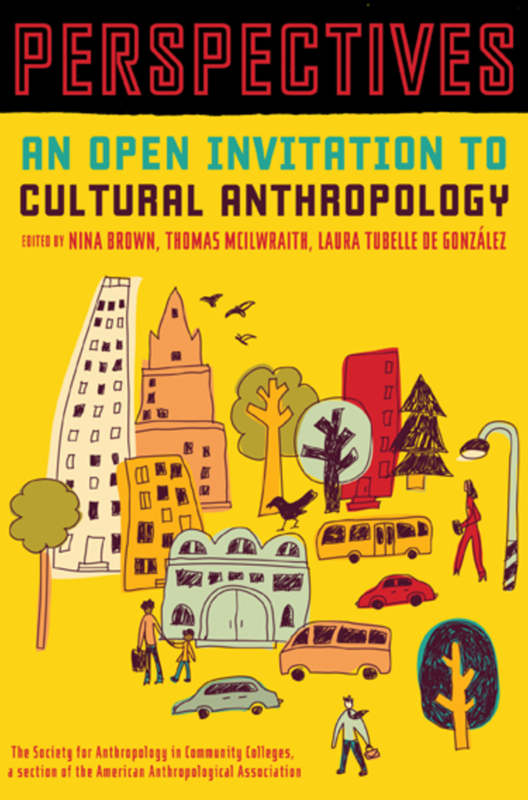 The first peer-reviewed open access textbook for cultural anthropology courses that is great for high schools and introductory cultural anthropology courses. Produced by the Society for Anthropology in Community Colleges and available free of charge for use in any setting. 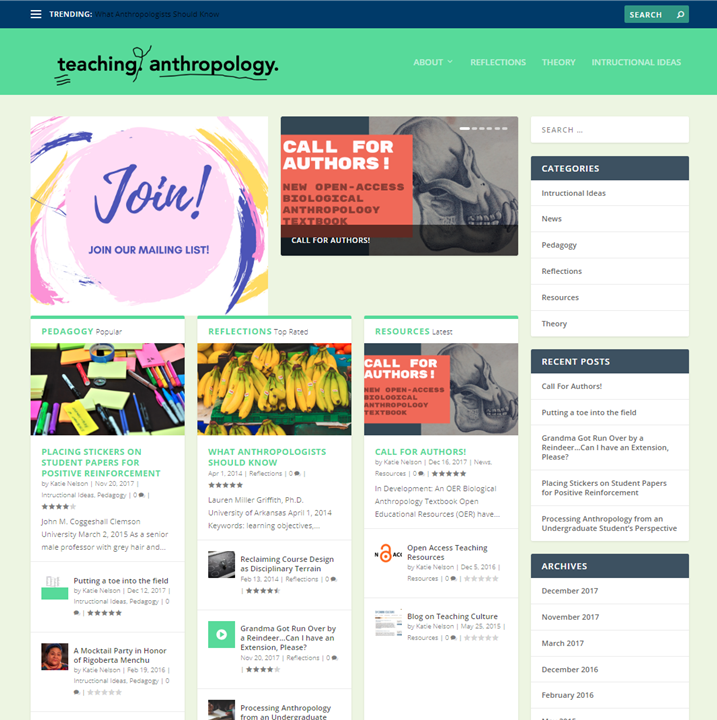 This blog provides short, informal articles that relate to pedagogical approaches, teaching resources and reflections on the art and practice of teaching anthropology. A list of free online leaflets, bibliographies, and teaching activities. AnthroNotes, the award winning publication of the Smithsonian’s Department of Anthropology, was published from 1979-2012 to present archaeological and anthropological research to educators and the public in an engaging and accessible style. This link connects you to a directory of schools in the US that have an IB Diploma Programme for social and cultural anthropology. A powerful guide to help each state strengthen instruction in social studies by establishing fewer, clearer, and higher standards for instruction in history, geography, and anthropology kindergarten through high school. The RACE Project, developed by the American Anthropological Association with funding from the Ford Foundation and the National Science Foundation. These materials serve as teaching tools to assist educators in addressing race and human variation in the classroom. 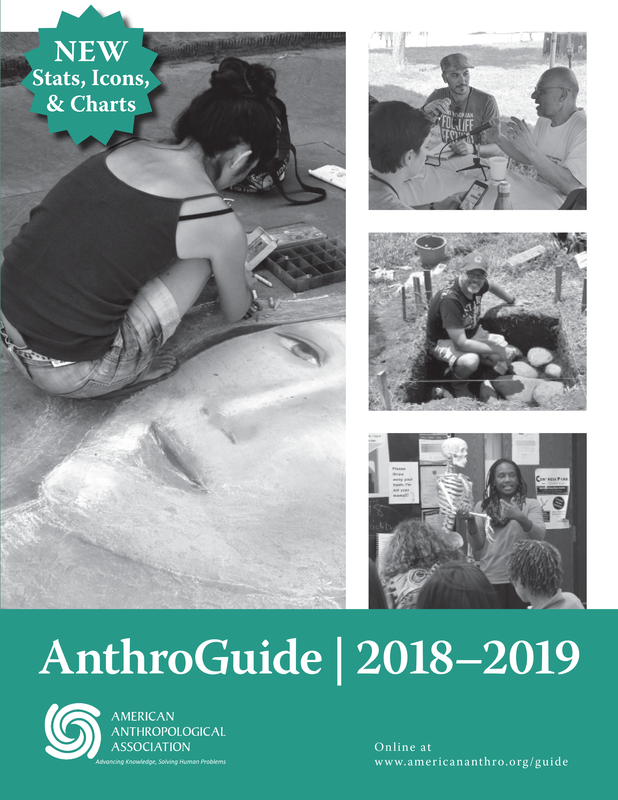 The online version of the AnthroGuide allows you to search for anthropology programs across the United States by school name, location, degrees offered, available internships, field schools, and more. Wondering what classes to take now in high school or what AP course will prepare you for anthropology in college? Use this college planning tool for students who wish to major in anthropology. The Internet's tremendous growth in size and popularity has resulted in the need for assistance in navigating it. This list from the Smithsonian digital libraries include links to websites, each with a brief annotation, is a sample of what the Internet holds for teachers and students interested in the field of anthropology. SACC is a network of people who teach anthropology in community colleges, two-year and four-year colleges, universities and pre-collegiate institutions. SACC is a great resource for community college professors who are teaching advanced high school students in their classrooms. Searching for more information about anthropology? 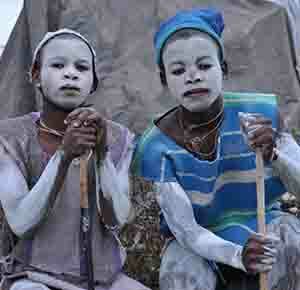 Check out our This is Anthropology initiative.